Pleasantly paced, Beatriz Pizano’s ‘official story of me’ has a slightly deeper connection with Spanish speaking audiences but this doesn’t deter everyone else from the reverberation of love and loss in Dividing Lines on stage until December 2, 2018. Death is a bit of a tricky subject matter for theatremakers when the vast majority of entertainment loyalists prefer a compelling drama, a rib-tickling comedy or a toe-tapping musical. With that said, creator and solo performer Beatriz Pizano pulls off the unthinkable in Dividing Lines, a documentary style production celebrating the birth of ‘a free woman’ and underscoring the point that we only recognize watershed moments in hindsight. All of this derived from a heart-wrenching goodbye to Julia, a beloved mother who tenderly watched over her. She passionately seizes the heart without any difficulty in an intriguing personal account stemming for a new career as an immigrant wife of a devoted Catholic while remaining faithful to her roots, ancestry and land. With Julia’s health fading due to advanced Alzheimer’s causing unrest for her, the performer’s faith in a God that would allow such suffering fades even faster. 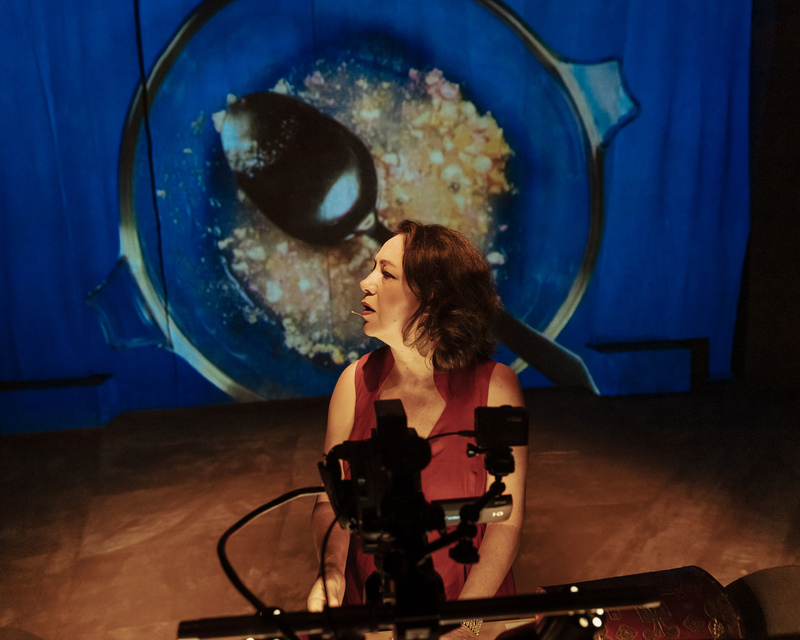 Dividing Lines is a perfect example of ‘small theatre’ outgrowing the confine of its own definition when an intrepid live projection and video design transports audiences to a different time and place never before imagined. This splash of technology truly is the pinnacle element to the show making this touching journey a highly memorable one. Join in on the conversation at The Theatre Centre this month or you’ll miss out on a life history that matters.